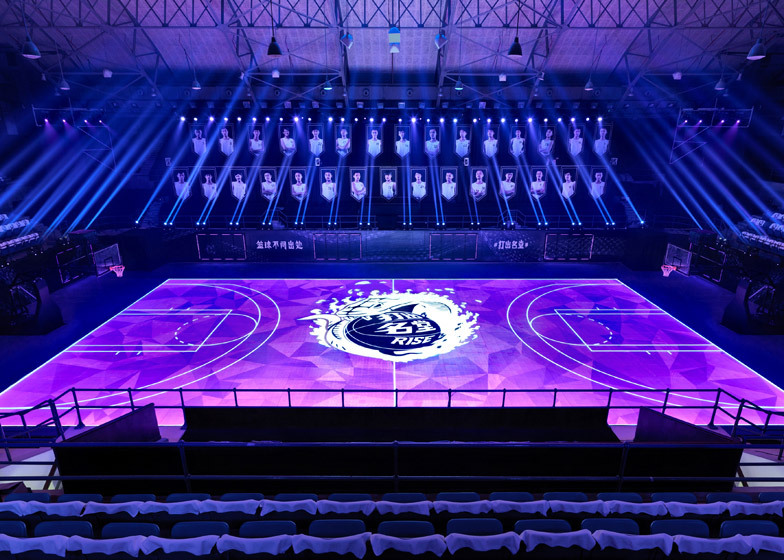 Nike has created a full-sized basketball court with motion-tracking and reactive LED visualization technology built into the floor to help American star Kobe Bryant teach his moves to young players in Shanghai . 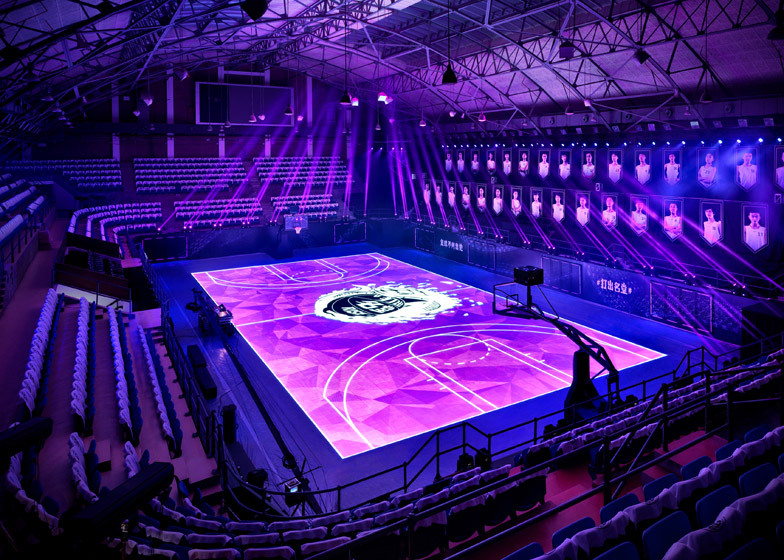 The court can lay out sets of moves for individual people, create drills based on Bryant’s training programm that are adapted for the court, and respond to mistakes as well as display performance stats. It can also show classic court markings, with customized overlays. 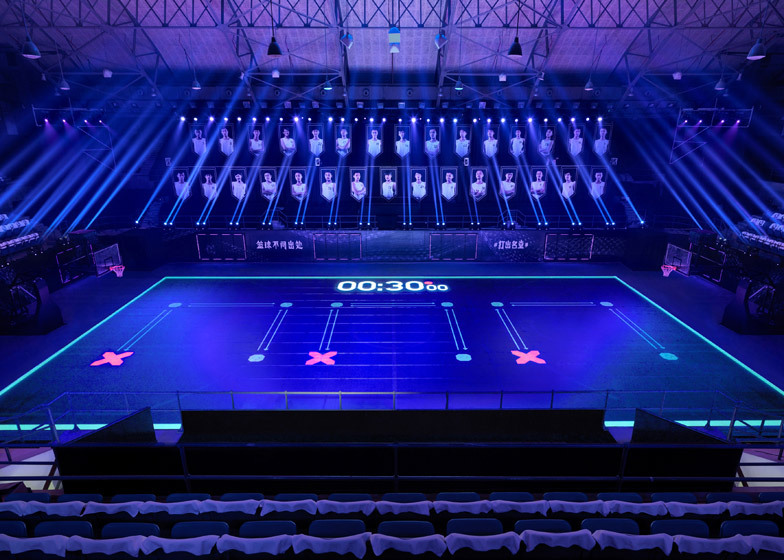 When not in use for training and games, the LED surface can display almost any combination of moving images, graphics and colors.